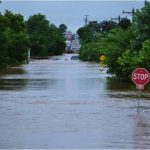 A team from NSSL will partner with the NOAA Hydrometeorological Testbed at the Weather Prediction Center to host the 1st annual Flash Flood and Intense Rainfall Experiment (FFaIR). 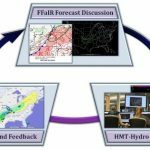 FFaIR will explore using high-resolution atmospheric and hydrologic models to improve short-term forecasts of both precipitation amounts and flash flooding. The project runs from July 8-26, 2013. 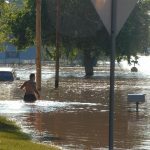 NSSL’s Flooded Locations And Simulated Hydrographs (FLASH) system will be one of several modeling systems evaluated during FFaIR. The FLASH system uses radar-estimated rainfall from NSSL’s National Mosaic and QPE System (NMQ/Q2) as input into the CREST (Coupled Routing and Excess STorage) hydrologic model. FLASH then creates real-time 6-hour forecasts on a 1km grid that is updated every 15 minutes. 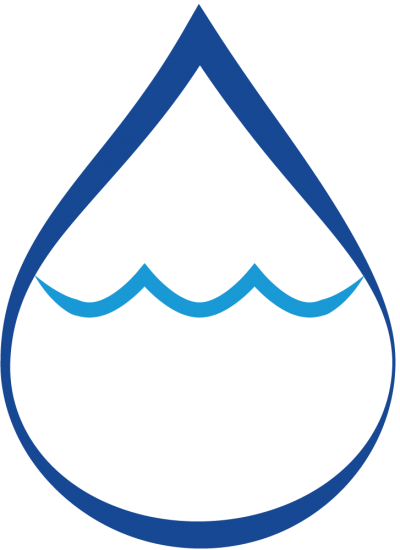 The 2013 FFaIR experiment will provide, for the first time, a pseudo-real time environment where participants from across the weather enterprise can explore the interface of meteorology and hydrology. 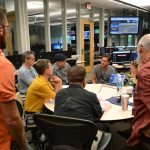 Working together through the forecast process will foster collaboration between National Centers for Environmental Prediction, National Weather Service Forecast Offices, NOAA labs, and the academic community.